In the previous installment in this series, Choosing a Facebook Page Type for Business, you learned that a Facebook Fan Page is a great marketing tool for a home business or freelancer. Here are tips for creating your business fan page on Facebook. Visit an existing Facebook Fan page, such as The Balance, and click the Create a Page button on the left-hand side of the page. You may have to scroll down if the page has added extra features. You can also click the down arrow on the top menu bar next to the help icon. A menu will drop down and you can click on Create Page. Name your page. Facebook Fan pages must have an official name. This can be the name of your business, but it can also include keywords for which you'd like to rank well for in Google search. Once you have a certain number of fans, you can create a custom URL for your page to make it easier to promote. Check the box that you are the official representative for the page. As the admin, you'll have total control over the page. You can add others to your admin. For example, you can have your virtual assistant help you manage the page. Read Facebook's terms before proceeding. You do that by clicking the Review the Facebook terms link. Violating Facebook rules can get your page terminated, so be sure you know the policies. Anything that your fans would be interested in knowing about. 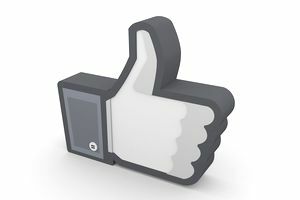 You might consider adding a group, which Facebook can help integrate with your fan page. Click on Community in the left-hand menu and Facebook will have a box that says Groups, with information on creating a Facebook group around your fan page. Like other social media, you need to do more than post messages to your page. You also need to respond to comments and interact with your followers. Before you can have a custom URL (i.e, facebook.com/mybusinessname/) you'll need to get 25 fans (people who have clicked the "Like" button on the top of your fan page). You can start by telling the people who are friends on your profile page know about the fan page. You can invite them specifically or you can post about the page on your profile feed. Be careful about inviting people to like your page, as sometimes this can annoy people. Make sure that whoever you invite is someone who is interested in what your fan page has to offer.